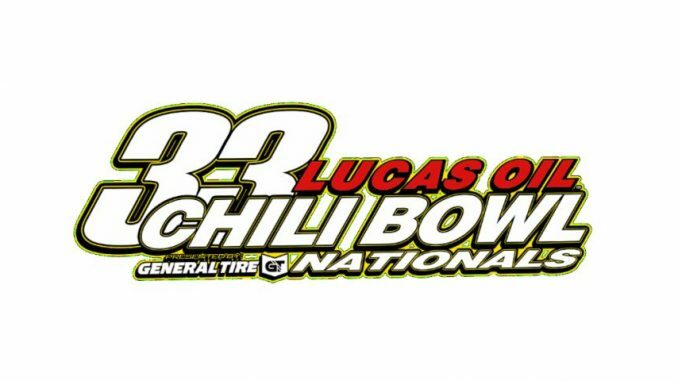 TULSA, Ok. (January 17, 2018) — Christopher Bell outlasted multiple caution flags and a late race challenge by Shane Golobic to win he preliminary feature on Thursday night at the 33rd Annual Chili Bowl Nationals. Bell led most of the 25-lap affair unchallenged until a caution three laps to go gave Golobic the opening to pass Bell for the lead, but Bell was able to gain the top spot back and led the final two laps for the victory. Golobic held on for second while C.J. Leary, Danny Stratton, and Josh Most rounded out the top five.